We believe that every animal deserves a chance at a wonderful life, regardless of their background or medical condition. Donations to Fluffy's Fund ensure that we can provide proper and thorough medical care to animals with special needs. 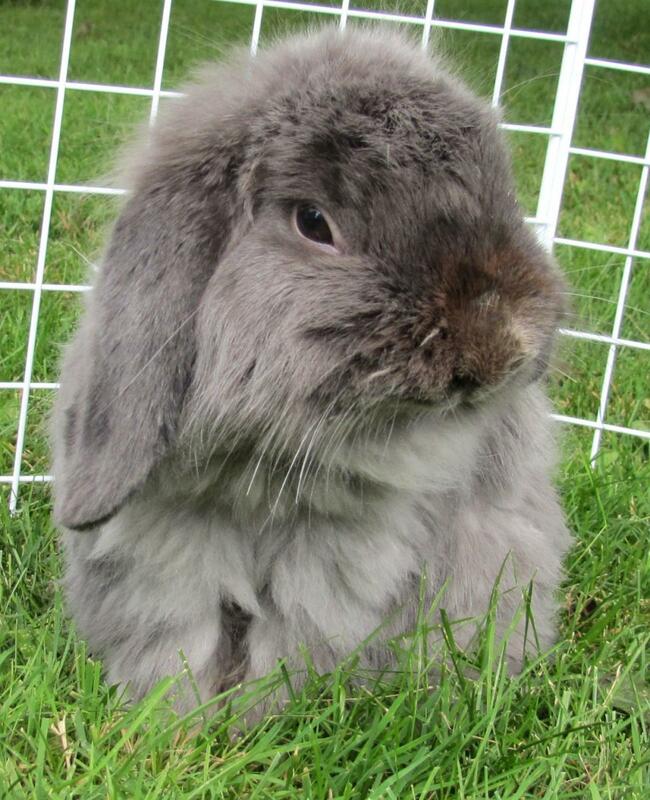 Fluffy came to us along with four other bunnies (affectionately called the “Fab Five”). When he first arrived he was very sick. Although he had seen a vet before coming to us, a proper diagnosis was never made. Fluffy had a severe respiratory infection, was malnourished and had a mixture of bald patches and badly matted fur. It took many weeks and two different kinds of medication to finally dry up his runny nose and clear his chest. Fluffy's fur had to be shaved to remove the dirty, uncomfortable mats and it was discovered that his bald patches and broken skin were due to a severe case of mites. X-rays revealed that Fluffy’s molars were pointy, making it very difficult for him to chew. To address this, Fluffy had his molars filed, which is a procedure that requires anesthesia and spending the day in the veterinary clinic. Despite the many veterinary visits and various treatments, Fluffy always remained brave and trusting. Amazingly Fluffy and his entire bunny family (Emily, Amanda, Remy and Rocky) were adopted together in April 2011. They now live a happy free range life in New York State. Donations to Fluffy's Fund help other special-needs animals like Fluffy.